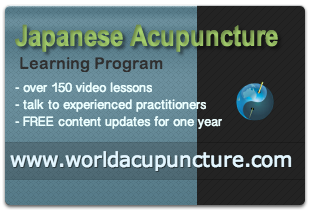 In this post I will explain the approach of Japanese acu­punc­ture in treat­ing fre­quent urin­a­tion dur­ing preg­nancy. This is a com­mon con­di­tion dur­ing preg­nancy and there is a very logic­al explan­a­tion for this con­di­tion accord­ing to the paradigm of East Asian medi­cine. To grow a child in utero requires what we would describe in East Asian medi­cine as a lot of kid­ney energy. The found­a­tion­al, struc­tur­al energy of the body is called upon to provide the energy to grow the baby in utero. This energy that is being called upon is of a finite qual­ity. So when a woman falls preg­nant with a spe­cif­ic con­sti­tu­tion, there is great poten­tial for her to exper­i­ence fre­quent urin­a­tion and, as a res­ult of that, also con­stip­a­tion. We will, how­ever, focus on the fre­quent urin­a­tion issue at the moment. The cool­ing, calm­ing aspect of what we call the kid­ney energy is eroded or util­ised and diver­ted to grow the baby. This means that there is an excess­ive amount of heat­ing energy avail­able in the body. Thus quite often when women are preg­nant, their tem­per­at­ure will rise. The body has to deal with the excess amount of heat­ing or Yang energy. One of the most pro­duct­ive ways to do this (and the easi­est because of the con­nec­tion between the kid­neys and blad­der in the gen­i­t­our­in­ary sys­tem), is to dir­ect the heat into what we call the blad­der meridi­an and the blad­der organ. That heat is what causes the body to increase the amount of urin­a­tion, it is a way the body rids itself of heat. The body will expel excess heat – it can expel heat through the head, heat can come out through the skin in the form of per­spir­a­tion, out through our breath in the form of expir­a­tion and, to some degree, through the feces when we go to the toi­let … and also through the urine. So this elim­in­a­tion pro­cess as described above is one of the very key factors and under­ly­ing con­cepts that we hold in tra­di­tion­al acu­punc­ture … and it is quite unique. Having this paradigm or under­stand­ing at out dis­pos­al enables us as acu­punc­tur­ists to treat fre­quent urin­a­tion in a very con­struct­ive and gen­er­at­ive man­ner. In oth­er words, we are not look­ing to get rid of the heat per se, we are look­ing more at build­ing up the sup­ply of cool­ing energy so that the baby grow­ing in the uter­us is nour­ished. It also means that less of what we call defi­cient heat (heat res­ult­ing from a lack of the cool­ing factor), is being wasted or pushed out through the body by fre­quent urin­a­tion and that the heat is more util­ised as a gen­er­at­ive energy in the limbs and the trunk of the body. So often with fre­quent urin­a­tion dur­ing preg­nancy, there will be a tired­ness that comes with it and, some­times, there can be some lower back pain. The fre­quency and power of the urin­a­tion will also hold some explan­a­tion as to what is going on. The good news (cer­tainly from my per­spect­ive hav­ing treated this con­di­tion many, many times in my acu­punc­ture clin­ic over the last 30 years), is that we can effect­ively treat fre­quent urin­a­tion with acu­punc­ture. Through tra­di­tion­al acu­punc­ture, using very gentle tech­niques (along with moxi­bus­tion) that I have developed over 30 years with many teach­ers and ment­ors, we have been able to resolve this con­di­tion without the use of med­ic­a­tion at all. The lack of use of med­ic­a­tion is a high pri­or­ity in preg­nancy because of the poten­tial side-effects of many med­ic­a­tions on the baby grow­ing. It is one of the won­der­ful fea­tures of tra­di­tion­al acu­punc­ture where we are able to effect these changes without impos­ing any chem­ic­al inter­ac­tion on the body or run­ning any risk of dele­ter­i­ous side effects for either the moth­er or the baby. 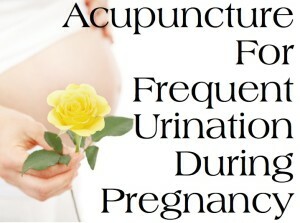 Acupuncture treat­ment for fre­quent urin­a­tion dur­ing preg­nancy thus builds up the body and the energy of the moth­er-to-be which is the oppos­ite to the poten­tial energy-drain­ing effects of med­ic­a­tion. To see my video on this top­ic, please go HERE!